I will say that it was good to see Han again. When he tells Chewie that they are home, there was this weird sound in the theater. A buzzing-like, sighing sound. If I didn’t know better, I would have said it was the sound of chills going up the spines of 300 people. …though it is possible that sound was just in my head. The teenage girl in me swooned just a little bit, seeing Han back on the big screen. 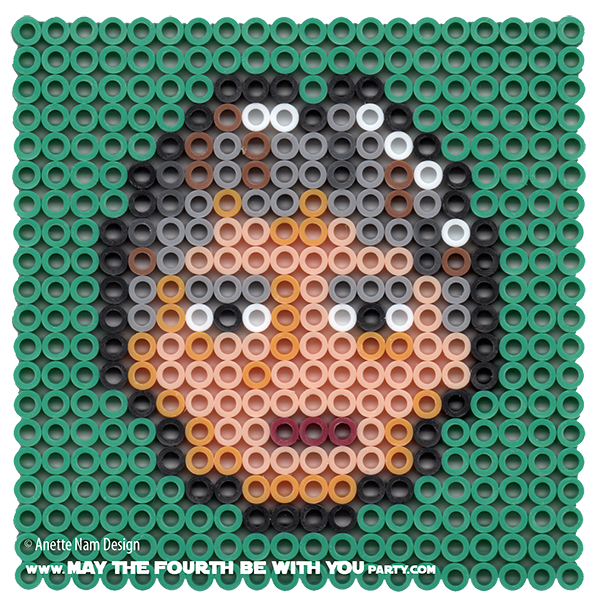 Here is the eighth of our The Force Awakens patterns, and #37 in the Perler bead/cross stitch/Lego/pixel/mosaic series. 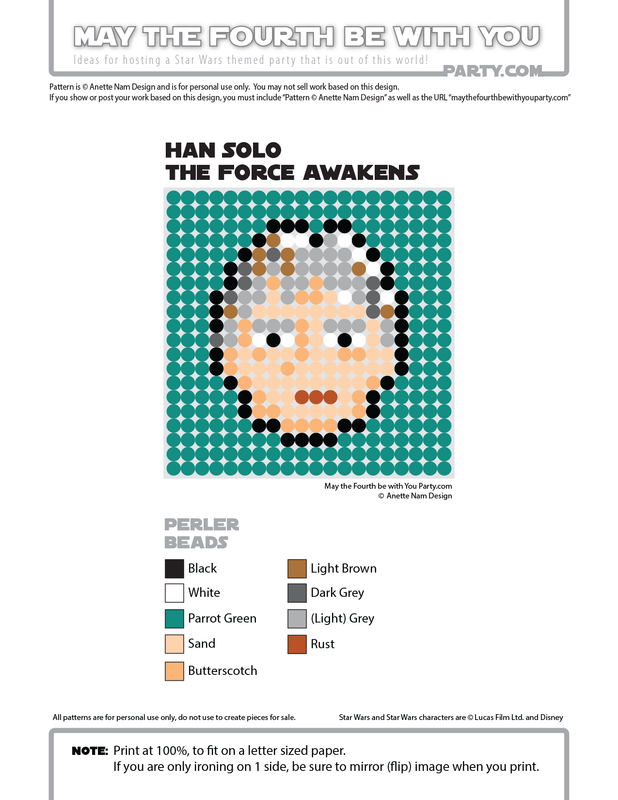 For the pattern of Han Solo in the original Star Wars trilogy, click here.